Before the Merseyside derby on Sunday, Liverpool were 2 points behind Manchester City in second place in the Premier League table. They needed a win, and only a win would put them above the reigning Champions at the top of the pile. As such, the game against Everton had a different edge and perhaps Jurgen Klopp was desperate not to falter at the home of Liverpool's fiercest rivals. Everton had problems of their own - they were 10th in the table and were sliding dangerously down. They had lost 3 of the last 4 games, but a midweek win over Cardiff City had restored a little confidence in Marco Silva's side. Both sides had a lot to fight for on the night, and this made the Merseyside Derby a pretty interesting affair. The game started on a bright note and both sides had chances over the course of the 90 minutes to secure all three points. However, the chances were not converted and the game ended 0-0. Even in the draw, Everton would be pleased to have dented their arch rival's title hopes. 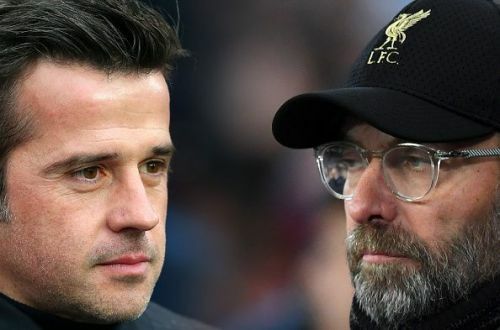 Here are 5 tactics from Marco Silva that helped his team stop Liverpool. Liverpool have built a reputation this season of being ruthless in attack. Their speed and precision when going forward inflict fear into the hearts of even the best defense. The fear generated by Klopp’s men makes it hard for most teams to stand up to them. As such, Silva could have been forgiven had he opted to play out a draw. But the manager showed amazing ambition and spirit to take the game to the away side and on any other day could have even come away with something better at the end of 90 minutes. Silva used the speed of his forward players – Bernard, Walcott and Calvert-Lewin, to unleash a brand of speedy football that caught Liverpool off guard. Sigurdsson, playing in the No. 10 role, was the architect of the home team's attacking play. 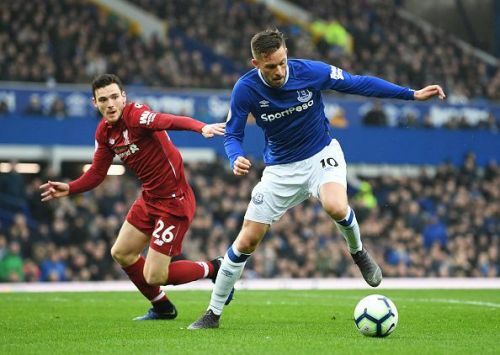 The Everton manager used the age-old trick of fighting fire with fire and his decision was vital as Everton kept the Liverpool defense under constant pressure and prevented the away side from playing out from the back. Van Dijk found little chance to spray passes from deep, as Calvert-Lewin kept him occupied. Every time he went forward, Fabinho had to keep an eye out for the space he was leaving for Sigurdsson. In the end, the attacking tactics unsettled the away side and helped Everton stop Liverpool.